Everybody loves the holidays that come along with the winter months, but nobody likes driving in the snowy conditions. The weather is extra cold, the road is slippery, and it gets darker early, so you have to pay extra attention while driving. Now imagine your car breaks down or you get stuck in the snow, it is always best to have a winter emergency car kit for situations like this. But don’t panic, if you plan to keep these nine car essentials in yours, we guarantee you’ll be alright until a friend, family member, or roadside assistance shows up to help you. I’m sure at this point almost everyone keeps a USB car charger in their car, but what happens if your car is unable to start? I recommend keeping a fully charged portable phone charger in your glove box in case your phone dies before help has arrived. There’s nothing worse than the heat in your car not working in the dead of winter. Be sure to keep some warm, fuzzy blankets in your car to keep you comfortable until someone shows up to the rescue. Drive Safe With 24/7 Roadside Assistance Included in All Protection Plans. Learn More Today! Winter or not, you should always keep these items in your car. Car safety kits come with many tools that could be helpful in a sticky situation such as reflective warning triangles, jumper cables, and a flashlight. Make sure your first aid kit has plenty of band-aids, ointments, and any medicines specific to you or your family. While it’s super easy to stay updated on weather conditions, road conditions are absolutely unpredictable. It can be an absolute nightmare to be stuck in heavy snow, especially without a shovel to dig yourself out. If the above method doesn’t work, try pouring some sand or cat litter under your tires for extra traction to help you out of the snow. You don’t want to become dehydrated or hungry while waiting for help to arrive, do you? 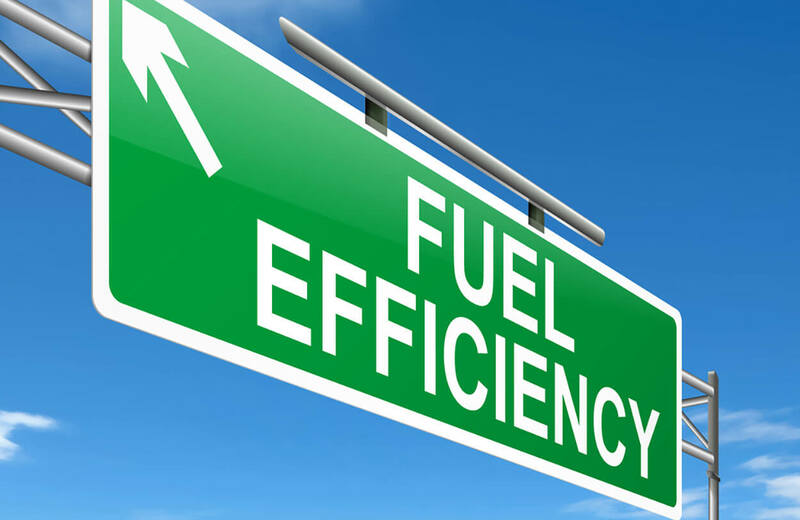 Keep some spare water bottles and non-perishable foods (such as cereal or granola bars) in your car to hold you over. In the event your clothes get wet from the snow, you don’t want to be sitting in waterlogged clothes until help shows up. Always keep a change of clothing in your car, along with a hat and gloves to keep you extra warm in case your heater isn’t working. This item is extra important because you need to be able to see out of your windshields to make it home safely, don’t you? 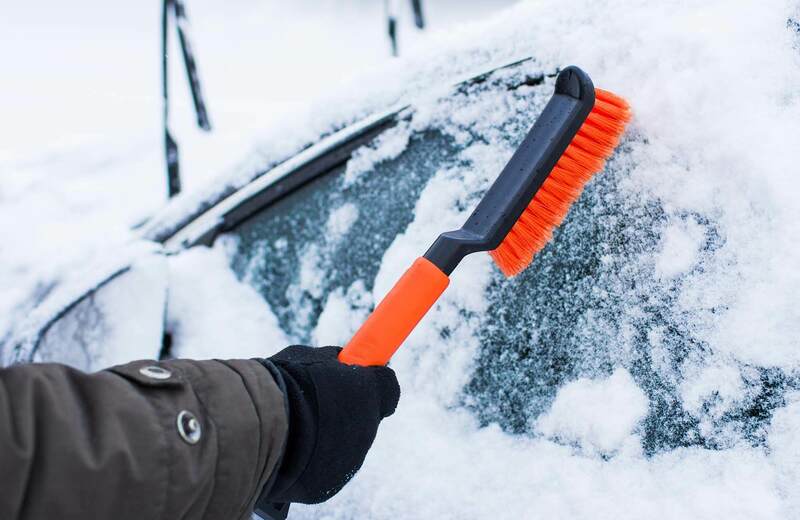 Always keep a windshield scraper or brush handy to clear up the snow from your view. For those who have precious cargo, the harsh cold makes the vehicle’s seats freezing! Some vehicles have the luxury of heated seats; however, most toddler car seats don’t come with said feature. Therefore, the little ones could use extra help to keep them warm and toasty. A winter car seat cover won’t jeopardize the safety of the seat and will keep the toddler warm right where they are. Be smarter this winter and keep the 9 most essential car items for winter in case of a break down or another emergency – better safe than sorry!